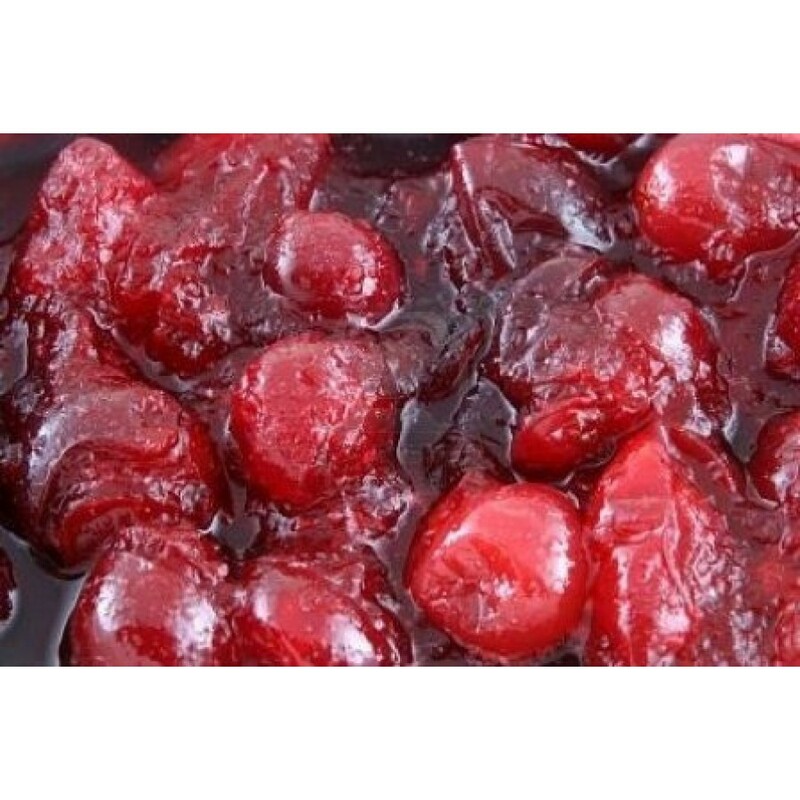 Low carb cranberry sauce with ZERO net carbs! Easy to make and tastes delicious! 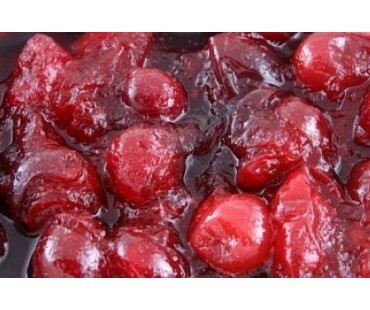 So simple to make - just add fresh, whole cranberries and water to a saucepan, boil gently for 8-10 minutes and let it cool. 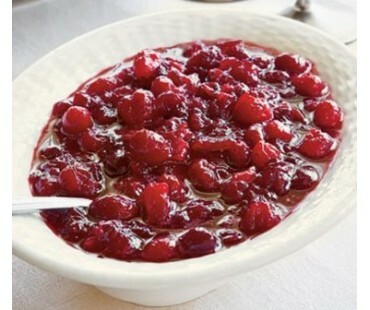 This is the most delicious cranberry sauce you've had since you started the low carb lifestyle! 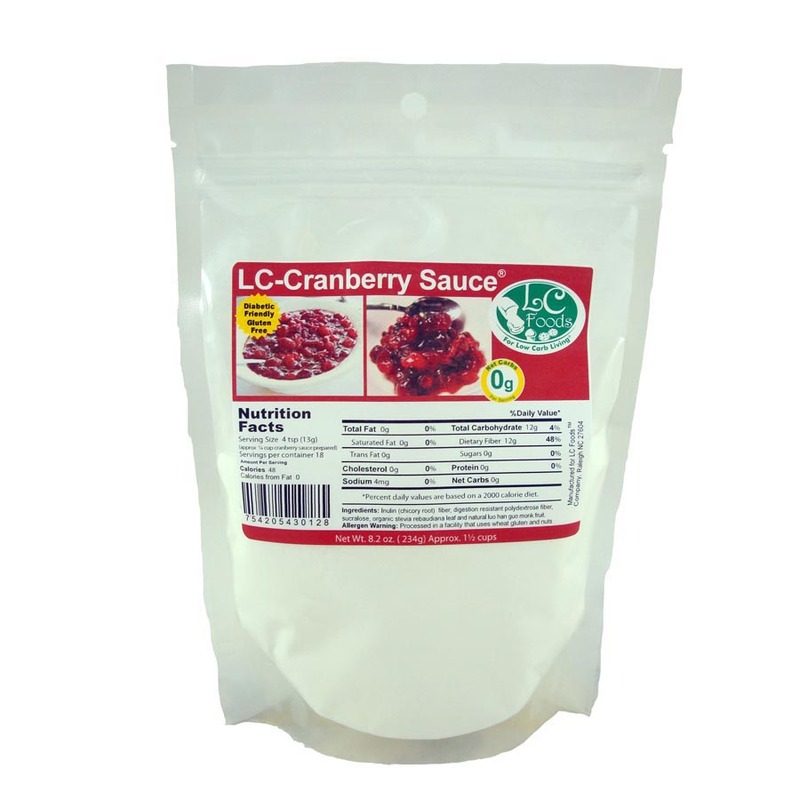 Now you can have a low carb turkey dinner for Thanksgiving or anytime with our low carb cranberry sauce and low carb stuffing mix (or make your own using our fresh baked low carb bread!). Add some low carb mashed potatoes and your favorite vegetables, and finish with a low carb cake, cookies or pie and you've got a dinner that the whole family will love! 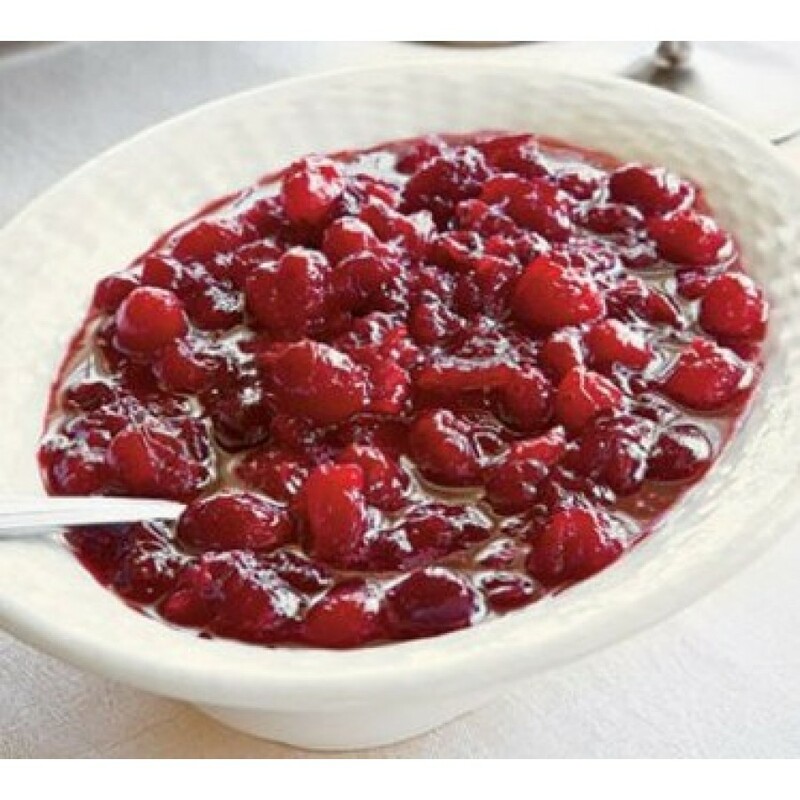 For a little variety, try adding some diced apples or blueberries in with the cranberries, along with some cinnamon or clove. Want some ideas beyond turkey dinner? Here are some ideas that we think would be fantastic! Use your imagination! 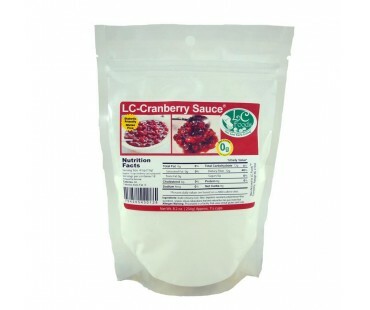 Our low carb cranberry sauce has a healthy dose of dietary fiber. As with all LC Foods low carb products, there's no sugar added (of course!) and no preservatives! I had this sitting on my shelf for a while and pulled it out for Thanksgiving and it was AMAZING !!! 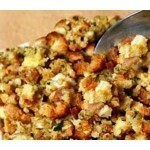 It is great with turkey and ham but also wonderful with beef and chicken!! 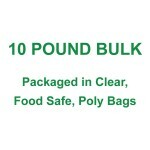 I doubled the recipe so I would have plenty and I will defiantly be purchasing this item again! !